Wild and civilized by turns, the Adirondacks are an immense blue and green space in which to relax, play and plot an adventure. 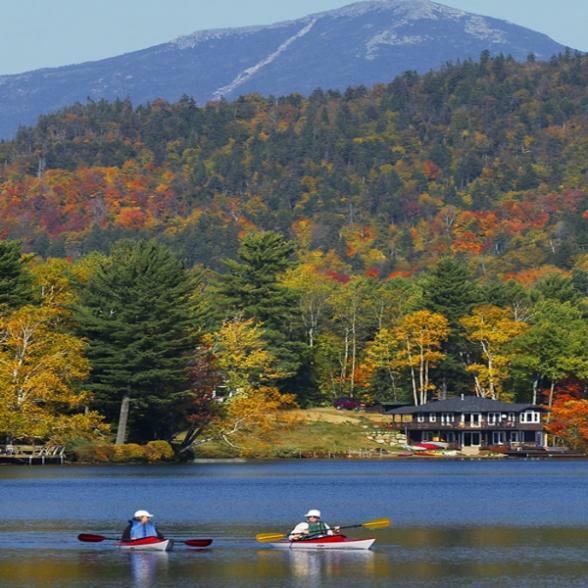 This region in Northern New York contains 3,000 ponds and lakes, 2,000 miles of hiking trails, more four-star resorts than any other destination in the state, nearly 100 campgrounds and, of course, the Adirondack Mountains. The village of Lake Placid, known for hosting the Winter Olympics in 1932 and 1980, as well as numerous other sporting events, is exactly what upstate New York is all about. Breathtaking scenery with every outdoor pursuit you can think of. Sleep under the stars in summer, or try out the biggest vertical ski drop in the East in winter.